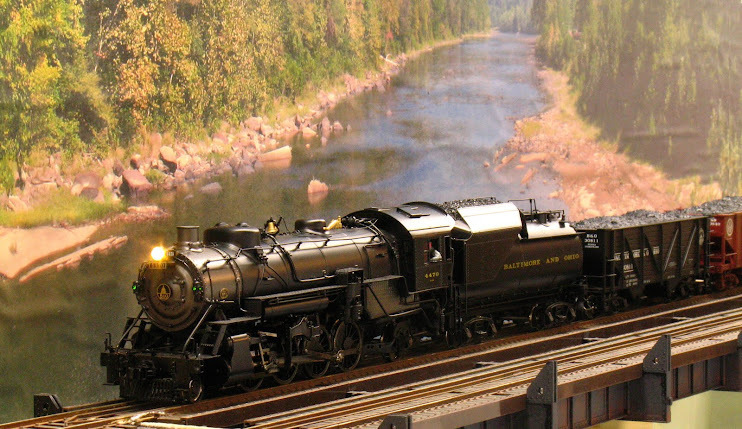 Here's a short video of O Scale at the 2010 NMRA National. There was not much O Scale there and not many trains were running when the National Train Show opened, so I don't have much. I even forgot that I had these clips until I was cleaning up my old laptop preparatory to moving to a new one. My video hosting service has recently made a change to their player. Now all embedded videos are standard definition by default. If you want HD (and have the bandwidth for it) click the "HD" on the player bar at the bottom of the screen. The truck side frames on the passenger cars, seen from the oblique angle that I shot them from, really stand out as too wide. This has not been obvious to me on the Atlas (and a little MTH) 2-rail equipment that I have. But this video may sensitize me to their appearance.